Even more worrying for Theresa May is the latest news (see The Sunday Times) that the EU has holed her temporary customs union below the waterline. Speculation early in week that a deal would soon be struck dissipated, and the week ended with the resignation of Jo Johnson, one of the authors of the 2015 Conservative manifesto which, on page 73, promised to ‘honour the result of the referendum, whatever the outcome’. He left his post as Minister of Transport and called for another referendum. It’s unclear whether he’d want a third one if this resulted in Brexit as well. Even more worrying for Theresa May is the latest news (see The Sunday Times) that the EU has holed her temporary customs union below the waterline. 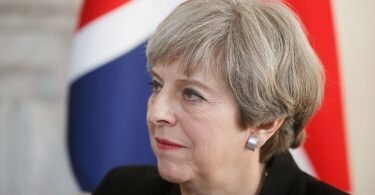 Her main hope of selling the plan to pro-Brexit Tories had been the promise that it would be a temporary measure until a permanent plan was agreed (which might be a Canada-type free-trade agreement). This included some sort of arbitration arrangement to get out of the temporary measures. The EU now insists that any arbitration would be overseen by the ECJ, which of course puts the UK back within the EU’s clutches and is unacceptable. Subscribers may remember the constant accusations that the UK was the slowest growing economy in the EU. After the publication of the figures for growth in GDP in the third quarter of 2018, such accusations are looking long out of date. As in the second quarter, the UK is shown to be growing twice as fast as the average for the 19 countries of the Euro-Zone. The 0.6% growth rate for the second and third quarters of 2018 indicates an annual growth rate well above the pre-referendum average. And finally, some sad news. The BBC business pages report that a concerned Remainer has started stockpiling French marmalade and other EU produce just in case she won’t be able to get it after Brexit. Why this was judged news, when the article itself notes that there is no evidence that there will be food shortages and quotes a ‘spokesperson for the Department for Exiting the European Union’ as being ‘unequivocal’ in their statement that people should not stockpile food, we don’t know. Treating the article as seriously as it deserves, we at BfB suggest that this worried Remainer should relax: citing no less an authority than Michael Bond, we can assure her the UK is famously hospitable to marmalade enthusiasts, with strong extra-EU trade routes through Darkest Peru. This week, BfB co-editor Graham Gudgin took part in a Brexit debate with Lord Adonis and Dominic Grieve on Radio Foyle in Northern Ireland. This can be heard here (from about 7 minutes in). He is also quoted in the Northern Ireland unionist daily newspaper, the Belfast Newsletter as being relatively relaxed about Theresa May’s leaked letter to The DUP. Read the article here. The day before, Graham also gave a public engagement lecture at Queens University, setting out how the economics profession got their predictions wrong on Brexit. George Tregarne, writing for Brexit Central, cited Richard Aikens’s BfB article about the EEA Agreement from September in his article ‘The ‘Norway for now’ option is far from perfect, but Brexiteers should consider its merits’. Managing partner of Edwards Economics Research, Dr Bob Edwards, has shown that surveys pushing the Remainer case, continue to be lies, damned lies and worse – as reported by BfB months ago. 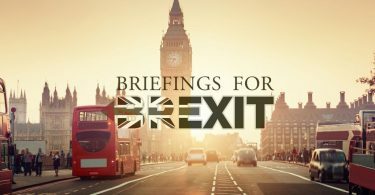 In this latest case, he bemoans the poor attempts of a recent survey publicized by Channel 4 to sample a representative cross-section of the British electorate in the most recent claim that remaining in the EU is the popular option. Our economics and business contributors have penned an open letter to all MPs, urging Parliament to pursue an alternative to the Chequers deal and secure a clean Brexit, so the UK can reap “clear and continuing advantages in terms of trade, growth and living standards”. 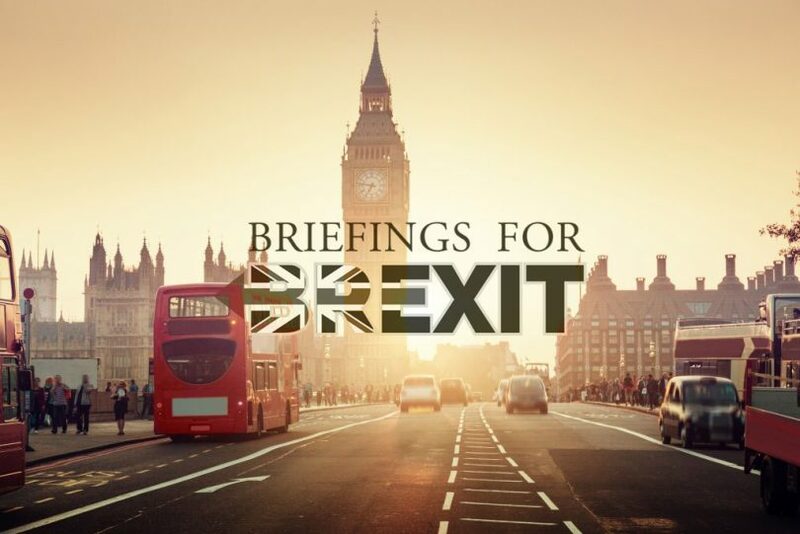 Rob Lee outlines the growing cross-party support for an EEA route as an alternative to both Chequers and No-Deal – a commercial treaty currently enjoyed by Norway, Iceland and Lichtenstein. He explains that it gives the UK time to negotiate a Canada-style Free Trade Agreement, as well as escaping the ECJ and retaining some advisory input despite having to toe the EU lines over the single market and free movement of people. This week John Mills, a founder of Labour Leave and Chairman of John Mills Ltd. (JML), explains the trade benefits Britain can reap through Brexit. Making use of WTO terms, JML has little difficulty in sending many of its goods overseas and there is no reason why the UK can’t trade with the EU after Brexit. He goes on to discuss how exchange rate shocks could stimulate enterprise and exports, and although a Canada style deal would be preferable, he argues that the UK has nothing to fear from No-Deal.